But Seattle general manager John Schneider said Monday that doesn’t mean the team hasn’t been doing a lot of work behind the scenes. Instead, he said the relative inactivity — signing just two players from the outside — was part of a strategy to focus instead on re-signing some of its own key players as well as loading up on compensatory picks for the 2020 draft. 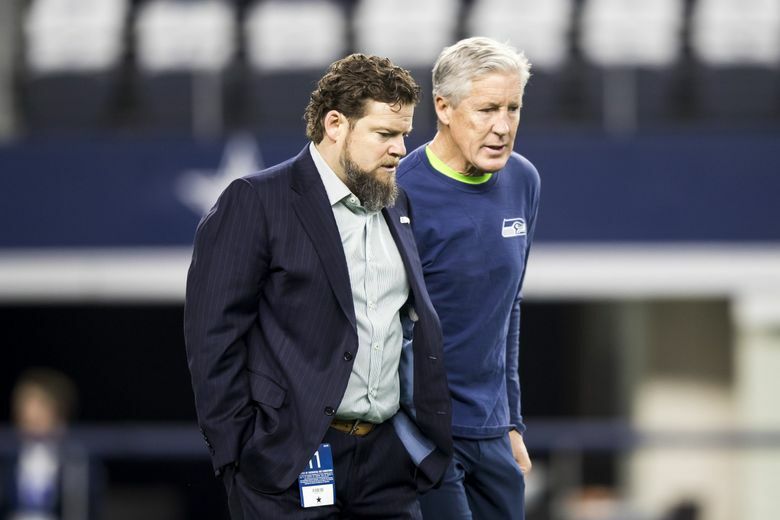 Schneider wasn’t asked a lot of specifics about the contract situations for three key players who can be free agents following the 2019 season — quarterback Russell Wilson, linebacker Bobby Wagner and defensive end Frank Clark. But he did say that the team has a timetable for when to deal with extensions and that it has not arrived yet — the team typically handles those in the late spring/summer, following the draft. And that’s particularly true of defensive linemen, which is also a specific need for Seattle. Schneider said he thinks it’s as good of a draft for defensive linemen as he can remember in his 27 years working in NFL front offices. “I haven’t seen it (this deep),” he said.